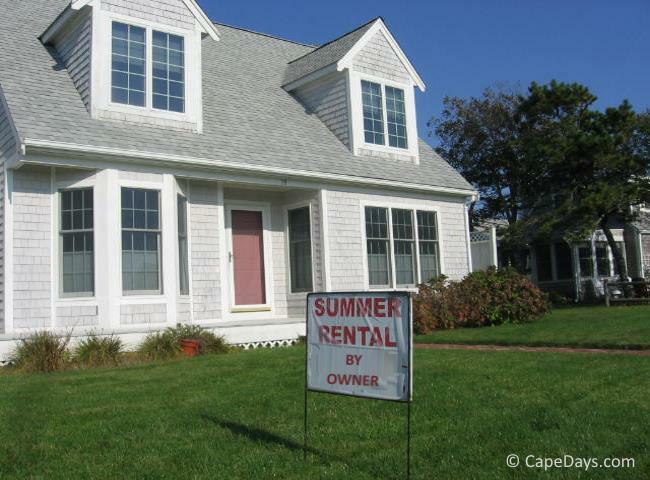 Cape Cod Vacation Rentals: Don't Miss These For-Rent-By-Owner Gems! With thousands of Cape Cod vacation rentals to choose from, finding your perfect rental home, cottage or condo can be a time-consuming endeavor. Let me lend a helping hand! Now is the time to find your perfect getaway lodging. The best properties in prime locations are already booking up quickly! Tip: When you see a property that appeals to you, fire off a quick message to the owner or agent to confirm that your preferred dates are available. That way, you'll at least get your foot in the door (so to speak :-) before someone else beats you it! Here's a handful of "hidden gems" that I've personally selected to get you started. Each of these properties has something special, making them what I consider to be don't-miss rentals! 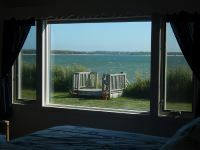 This comfy West Yarmouth waterfront vacation rental has 3 bedrooms, 2 baths, an open living/dining area with spectacular water views, and its own private beach! Launch your kayak, windsurfer, or stand-up paddleboard from the beach. Bicycle around the family friendly neighborhood. Catch a feisty bluefish just steps from your front door. When it's time to tour Cape Cod, you'll appreciate this home's convenient Mid-Cape location, close to the island ferry piers, whale watching, and all sorts of other activities and attractions. Tucked away on a quiet lane in Chatham are five adorable, vintage 1950s Cape Cod beach cottages. 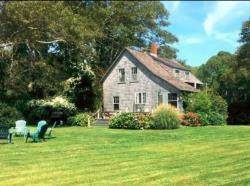 Each rustic seaside cottage has 2 bedrooms, 1 bath, and a view of Nantucket Sound. Just steps away is a private tenants-only beach. Swim, sun, stroll, and stargaze the night away! Repeat guests snap up "their weeks" at the cottages year after year. So vacancies are few in the summer months. But pre- and post-season vacationers are in luck. 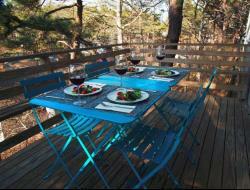 Reserve early for a fantastic getaway on Cape Cod! 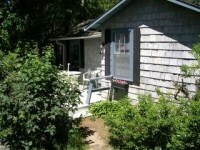 Calling all pups: Bring your humans for a great getaway at this charming waterside cottage on Nauset Cove! 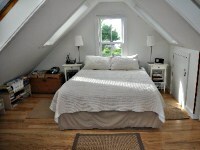 Two bright, airy bedrooms can accommodate 4 people. There's also a futon in the living room - just in case you need it for an overnight guest. Canoeing, kayaking, paddleboarding, fishing ... it's all right there for you, just a few steps away from your front door. Nearby you'll find all the restaurants, shopping, activities, attractions, and glorious beaches the Cod National Seashore area has to offer. 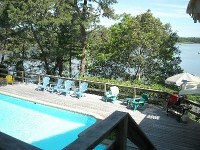 See more about this Eastham MA vacation rental cottage. Recently renovated, this 2 bedroom home is in a great location within an easy walk or bike ride to Craigville Beach. 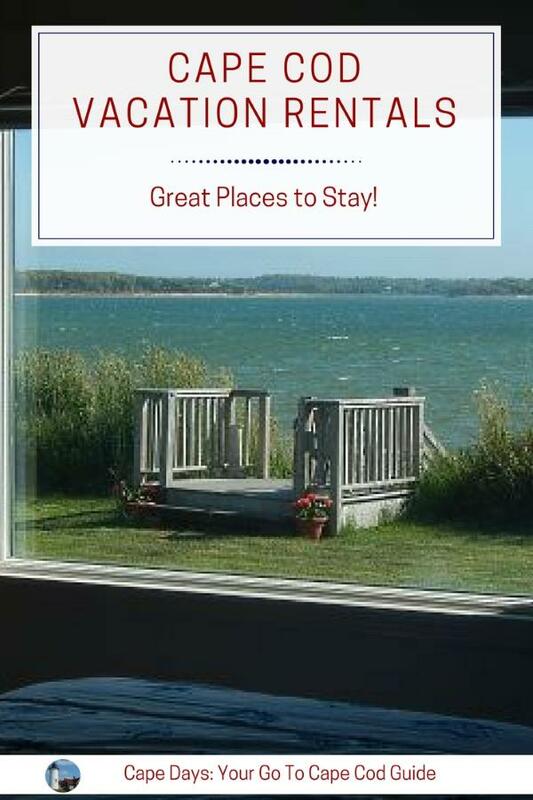 This is a perfect place to stay if you'd like to be close to everything the bustling village of Hyannis has to offer, but not "right in the thick of things". What's the included "extra" with this rental? A weekly beach pass that gives you free parking at all 6 beaches in the town of Barnstable. Read more about this Centerville vacation rental home. 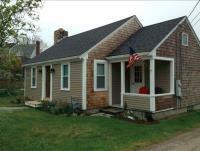 This adorable 1-bedroom cottage on White Pond in Chatham is perfect for a couple who'd like to stay in an upscale seaside town at a very reasonable price. A canoe is included for paddling around the pond! Looking for somewhere to get away from it all? This vintage 1890s cottage could be just right for you! There's room for up to 8 people in the 3 bedroom home, and the large yard is perfect for relaxing, entertaining, and for the kids to run around and burn off excess energy. When you're ready for your "water fix", several kayak put-in spots, great fishing, and a small private beach are just a short stroll away. 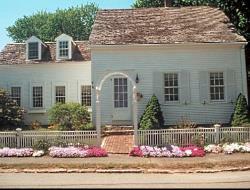 If you enjoy the convenience of in-town living, Sandwich Village is a wonderful place to stay! Set smack in the heart of the Historical District, this beautifully restored 1800s home has 2 bedrooms and sleeps 4 people. For those who love to stroll, there are museums, shops and boutiques, restaurants, the town boardwalk to a Cape Cod Bay beach, and so much more, all within a 10 to 15 minute walk. 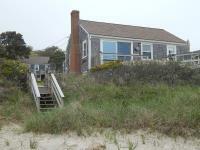 A quiet, airy, "beachy" cottage in the heart of town, this Provincetown vacation rental is a pretty sweet deal! It's just a few minutes away from a vast array of shops, restaurants, pubs, historic sites, theater and museums. This cottage is pet-friendly, too. With skylights in the bedroom and lovely spaces for relaxing and entertaining guests, you might never want to leave your comfy retreat in Provincetown! This 3 bedroom, 1 bath waterfront property sleeps 9 people. Conveniently located in a nice Falmouth Heights neighborhood, you'll be just a few minutes' walk to shops, restaurants, and ferries to Martha's Vineyard for a fun day trip. 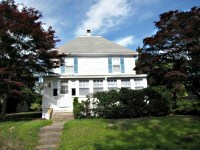 More about this Falmouth Heights rental. This family home in West Hyannisport has 4 bedrooms and sleeps 8 comfortably. Plus, it has its own private association beach on the warm waters of Nantucket Sound. Prior tenants rave about the fantastic location, the friendly owner, the home's many amenities - and especially, how nice it is to have so much room for family and friends. 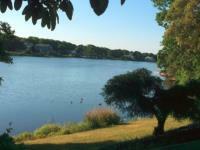 A pet-friendly, waterfront pool home overlooking a gorgeous saltwater bay in Cotuit, MA. Those are some pretty special accommodations, to be sure! 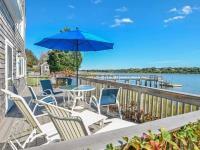 A large family will be right at home in this spacious Cape Cod vacation rental on Shoestring Bay. The home has 4 bedrooms, 4 baths, 2 full kitchens, and a pool house. Bikes, SUPs, kayaks and other water toys are available for guests to use, too. When you're in the mood for nature walks, fishing, kayaking, or searching for little sea critters with the kids, it's all right there on your doorstep. An added bonus is its out-of-the-way locale, but it's still under a half-hour drive from the Bourne and Sagamore bridges. For a relaxing retreat, a stay at this 2-bedroom cottage will have you feeling like you've escaped to the woods. Yet, it's still near anything and everything you could want to do on the Outer Cape - including some of the most glorious beaches you've ever seen! As part of a condo cottage colony, the amenities include a pool and tennis courts. Note: The owners/agents of the Cape Cod vacation rentals shown above may change their rental rates, availability, amenities, etc. at any time, without my knowledge. Please be sure to verify all details with the owner/agent before you agree to rent.